Archie uses systems thinking to drive market-based solutions for sustainability. He is an entrepreneur and “doer” integrating cost effective solutions. He is the Vice President of Sustainability at Altenex, LLC, a renewable energy marketplace. Archie wrote a systems perspective position paper on energy security for Vice President Joseph Biden’s presidential bid and was contributing author on Healthy Solutions for the Low Carbon Economy published through Harvard Medical School. He serves on the Young Patrons membership committee for the Wildlife Conservation Society, Trustee of Intentional Endowment Network and is President of StratLeade Sustainability Education. He holds a B.A. in Environmental Studies and Latin American Studies from Gettysburg College. Steve is the Senior Manager of Membership Programs at Second Nature, a non-profit focused on accelerating the movement toward a sustainable future by serving and supporting senior college and university leaders. Steve spent two years as the Green Schools Program Manager with the Massachusetts Chapter of the US Green Building Council. In this role he worked with K-12 schools, colleges and universities and sustainability education organizations to advance healthy, sustainability school infrastructure and support curriculum development of sustainability literacy. Previously Steve was instrumental creating Second Nature's keystone program, the American College & University Presidents' Climate Commitment (ACUPCC). Steve is a LEED Green Associate, and serves as a National Chair for USGBC's Student Groups. Omar is a dynamic and inquisitive marketer who empowers brands to bridge the gap between purpose and performance. He is experienced in green marketing and co-founded GreenSquids, a social enterprises development hub. As Senior Sustainability Consultant at thinkPARALLAX, Omar is conveying the message of sustainability as a catalyst for creativity and competitiveness. He holds a BA in Marketing Management from Universidad Panamericana, an MBA from IPADE Business School and an MSc in Strategic Sustainability from Blekinge Institute of Technology. Zand is a member of the education team at the MSLS program where he is responsible for co-coordinating the Leadership in Complexity track and managing PR. Zand spent much of his professional life working with organizations such as Corrymeela and TIDES Training to facilitate and empower communities involved in the Northern Ireland conflict to find peaceful paths forward together. In 2011, Zand moved to Sweden to study at MSLS and has spent the last 3 years working in Scandinavia as a social entrepreneur and process facilitator before joining the MSLS team in 2015. Melinda Varfi brings a host of experience from her customer centric roles in public, private, and NGO sector work. She has worked for a telecom startup, consulting group where she established an entrepreneurship academy, and through trade development for biotech at the Hungarian Ministry of Economics. She cofounded Resonanz to transform working culture. She is actively involved in leading edge projects exploring transformative education, resilience for communities (Impact Hub Budapest), and entrepreneurship for a new paradigm. Stratleade is grateful for the generous support of its sponsors. If your organization is interested in becoming a sponsor please contact us for details. 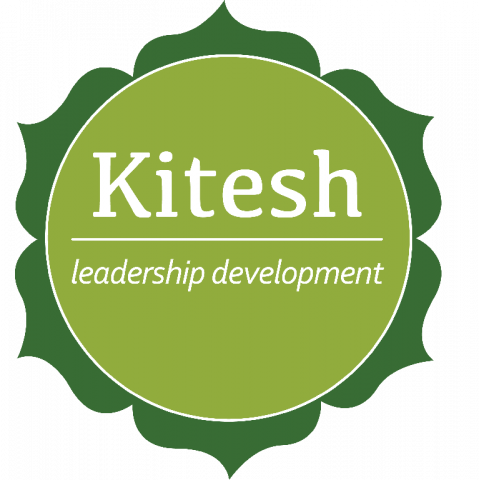 Kitesh Leadership Development The Purpose of Kitesh is to enable and enhance sustainability leadership and learning. Kitesh is one of a handful of 'Agents', officially contracted by the Blekinge Institute of Technology (BTH), to assist individuals with their applications for studies. If you are interested in applying to study at BTH, please contact Kitesh today for free assistance.